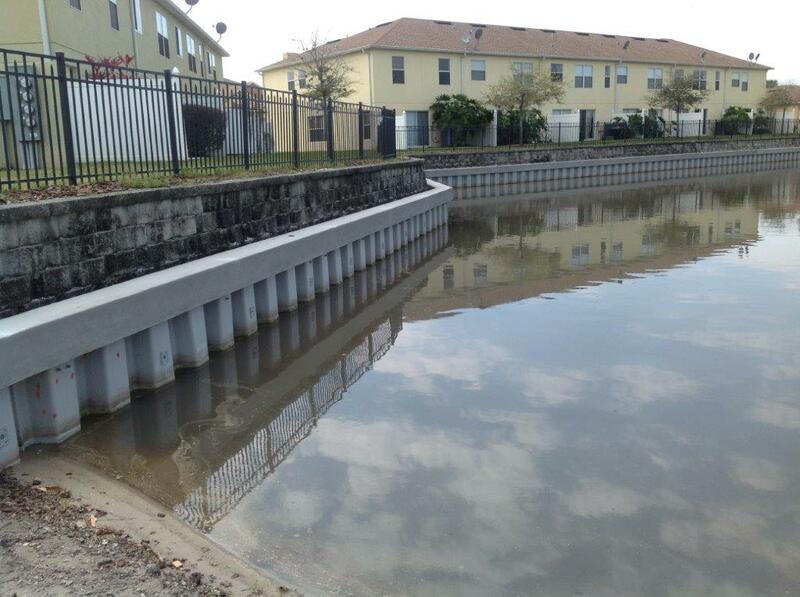 Fender Marine Construction located in downtown Orlando was selected by the Amber Point Homeowner’s Association to install a new seawall waterward of the existing MSE (Mechanically Stabilized Earthen) wall. 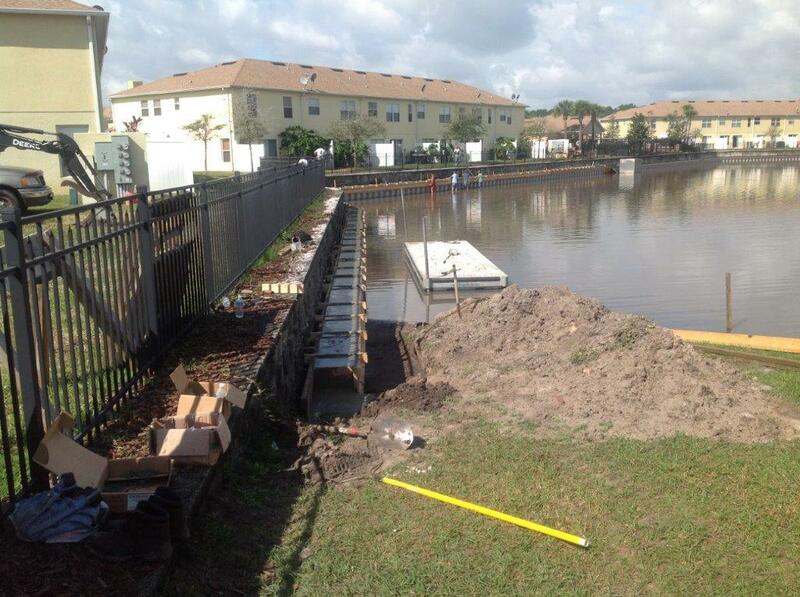 The existing MSE wall was not properly installed and allowed the soil behind the seawall to eroded, flowing down into the small pond in Kissimmee, Florida. The Fender Marine Team utilized a vibratory hammer to place a vinyl seawall manufactured by Crane Materials International in a cantilevered position. 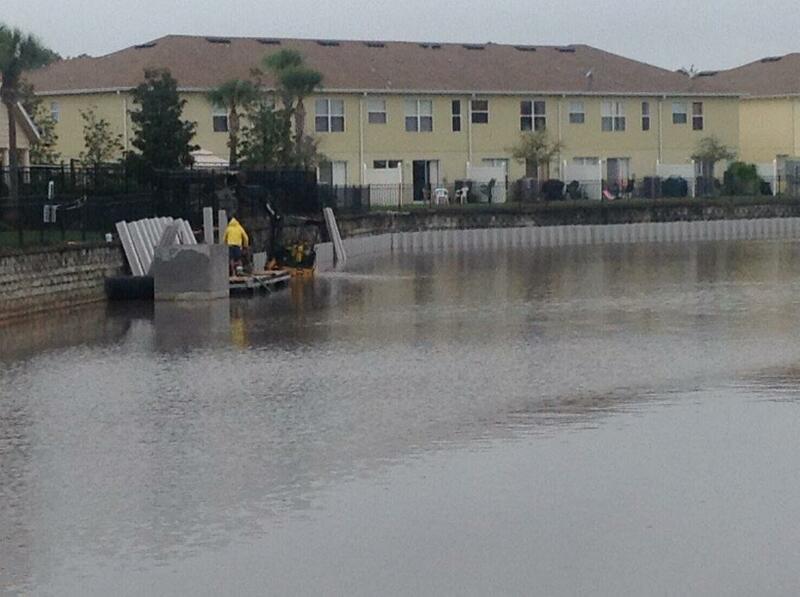 This means that the standard tiebacks and deadmen normally used for such a seawall were not needed. The vinyl wall was then capped with a steel reinforced concrete cap.